Pasta plays a major role in Filipinos’ lives, from being part of our daily meals to a popular choice for various events and gatherings. As October marks a special month for Filipino Pasta lovers, we join the world in celebrating the World Pasta Month worldwide. 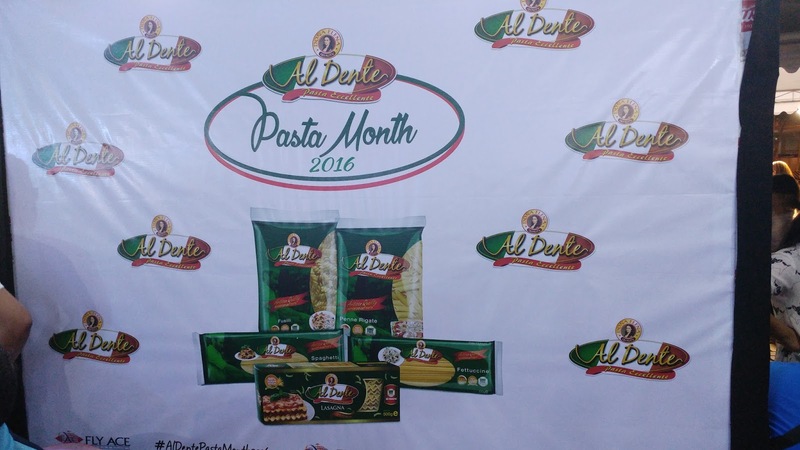 Doña Elena Al Dente Pasta, the only Artisan Quality Italian Pasta brand in the country, has been pioneering this gastronomic celebration for three years now. 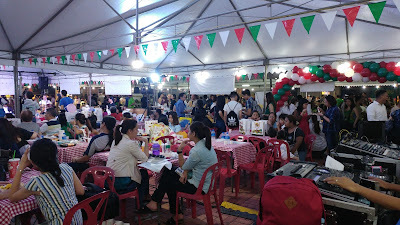 This year, the National Pasta Month celebration highlights an exciting challenge among Mercato Centrale food vendors as they participate in the Doña Elena Al Dente Ultimate Pasta Challenge where they featured their originally crafted meal combinations of their specialty dishes and Doña Elena Al Dente Pasta. All food enthusiasts were able to witness an epic and pasta-licious culinary cook-off last October 14, at the Mercato Centrale, Bonifacio Global City in Taguig. 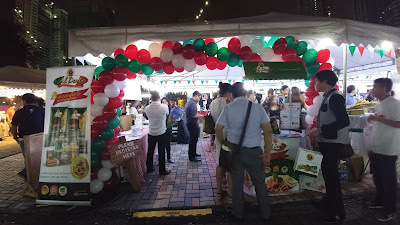 Pasta connoisseurs were invited to purchase a Pasta Passport for a minimal purchase of Php100. The passport served as their exclusive pass to enjoy free Doña Elena Al Dente Pasta products and appreciate the entertainment band and program hosted by the radio and TV host, Jamie Fournier. Passport holders of the event were also able to taste and vote for the best pasta dish from the eight pasta-licious dish entries of the Ultimate Pasta Challenge participants and five beautifully designed pasta artwork from the Pasta Art competition. “This culinary gathering highlights the universal love for pasta. We aim to bring more people to appreciate pasta and into recognizing how this dish has been part of our lives. It also allows us to present to our Filipino consumers a variety of dishes that they can enjoy Doña Elena Al Dente Pasta with. We will continue bringing them great-tasting authentic Italian pasta,” says Rachelle Chang, Product Associate. Made with 100% durum wheat semolina, Doña Elena Al Dente Pasta is crafted with bronze dies which leave rough ridges on the pasta, helping sauces cling better thus making it more flavorful. It is available in five variants – Fusilli, Spaghetti, Fettuccine, Penne Rigate, and Lasagna. 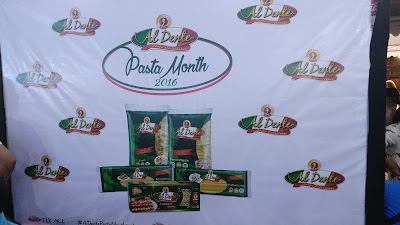 “Doña Elena Al Dente Pasta and Fly Ace Corporation, together with our event partners, are extremely honored to initiate celebrating Pasta Month in the country. And now, on our third year, we continue our vision to bring not just great-tasting pasta but the world’s best food and beverages to Filipino households,” Fly Ace Corporation General Manager Ramon Daez concludes. The Doña Elena Al Dente Ultimate Pasta Challenge is in co-presented by Masflex, Tecnogas, Fujidenzo, Whirlpool, May Sparkling, Franzia, Don Lucio Wines, UP Piccola Italia; and in cooperation with its media partners: Appetite Magazine, Breakfast Magazine, Business Mirror, Business World, Cook Magazine, Malaya Business Insight, Manila Bulletin, Mommy Bloggers Philippines and wheninmanila.com.